No Wires Media is your Premier DIRECTV authorized agent for Medford Oregon and Surrounding areas. We are dedicated to providing the absolute best DIRECTV products and services at the absolute lowest prices. Our expert staff of Customer Service and Sales Representatives are always available to help you determine what system is best for you, and to make sure that you take advantage of every offer available.We will then make sure you get prompt on-time professional installation to meet your needs. Our goal is to make your DirecTV experience the best it can be. We are proud to be one of the top DIRECTV authorized dealers in the Medford Oregon area, bringing you the hottest shows, the biggest movies and the most anticipated sporting events – all in crisp digital-quality picture and sound. The best in entertainment is what DIRECTV is all about. When DIRECTV launched in 1994, it was the first entertainment service in the U.S. to deliver all digital-quality, multi-channel TV programming to an 18-inch satellite dish. The launch of DIRECTV® Service, with its national reach, provided people across the continental U.S. with a much needed alternative to cable. DIRECTV also pioneered technological breakthroughs, including the first national system with interactive on-screen program guide and pay per view ordering by remote control. 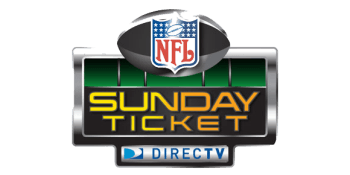 DIRECTV innovations and awards for digital broadcast satellite technology have set a new standard for televised entertainment. Today, DIRECTV is the nation’s leading digital multi-channel television service provider. We offer access to hundreds of channels of quality programming in the places people live – single family homes, condominiums and apartment buildings. 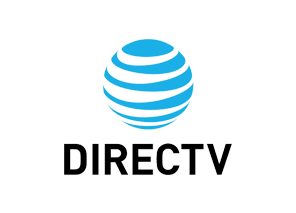 DIRECTV also provides television entertainment to tens of thousands of commercial locations, including airports, hotels, restaurants, bars, hospitals and office buildings. And all of this is backed by award-winning customer service and our dedicated employees who make it all work. DIRECTV is continuing to redefine the world of television entertainment. Advances in technology are enabling our viewers to have greater control over their viewing and experience new services on their television, such as digital video recording (DVR), high-definition TV, expanded multicultural programming, interactive programming and more.